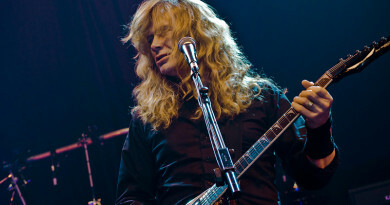 Fellow metalheads, gallop riffing is one of the popular and key signature techniques of metal rhythm guitar playing. The reason it is called as gallop is because, the rhythm sounds like a fast gait of a horse. The technique was widely popularized in 80’s by bands like Iron Maiden, Metallica, Megadeth, Slayer etc. 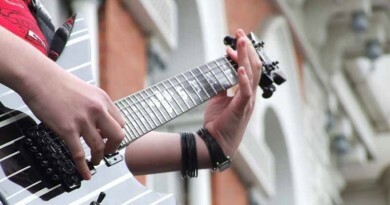 If you are learning metal rhythm guitar, it is a must learn technique as it will open you the gates to learn some classic metal songs like The Trooper, The Four Horsemen, Motorbreath, Battery to name a few. Before we dive into the technique, let’s first analyse how this technique is rhythmically devised. Gallops are formed by two sixteenth notes paired with one eighth note. There are two types of gallops: Gallops and Reverse Gallops. Gallops: Gallops are a sequence of eighth-sixteenth-sixteenth notes. i.e. two down strokes followed by an up stroke. Reverse Gallops: Reverse gallops are a sequence of eighth-sixteenth-sixteenth notes. i.e. down-up-down strokes. One thing to keep in mind is not to addle gallops with triplets. In triplets, all three notes in a beat are of equal time. On the contrary, as said above, gallops are a combination of two sixteenth notes paired with one eighth note. Now, shall we move on to some actual playing? Let’s do it! Sixteenth note exercise: The way I learned gallop picking is by eliminating one sixteenth note from one quarter note beat. 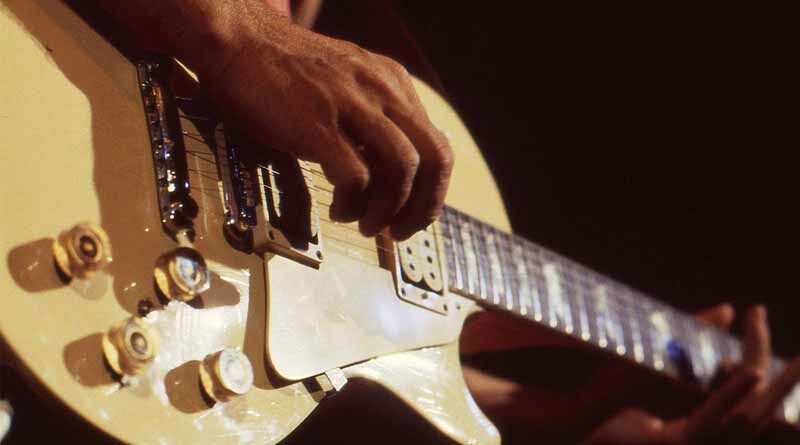 Let’s get our picking hand acquainted with sixteenth note picking. Pick a speed on metronome that you are comfortable with, say 80 BPM. Pick sixteenth notes on open E string for 4 bars with some added palm muting. Picking motion should be down-up-down-up and so on. Gallop: Now, once you are comfortable with sixteenth note picking, you can move on to gallop picking. As mentioned earlier, gallops consist of eighth-sixteenth-sixteenth note sequence. In sixteenth note picking exercise, you picked open E like, 0-0-0-0. Now to convert it into a gallop, omit the 2nd 0 by playing the first 0 twice its duration. i.e. 0-x-0-0. The picking should be down-down-up. Refer to the tab below to get a better understanding. Reverse Gallop: Reverse gallops can be derived from gallop picking by reversing the sequence of note division. i.e. We pick the notes in sixteenth-sixteenth-eighth note fashion. So, if we consider the sixteenth note sequence, we omit the fourth 0 and play the third 0 twice its original length. So, the reverse gallop picking sequence would look like this: 0-0-0-x. The picking motion should be down-up-down. Follow the tab below for a simple exercise. I hope that you have understood the concepts. 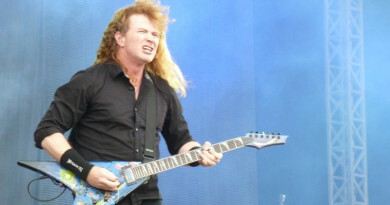 Now, get to picking them gallops at James Hetfield level. Just kidding! Start slow, use a metronome, focus on accuracy and if you make an error, please start over. This will help you in the long run in forging good habits. And above all, have fun!